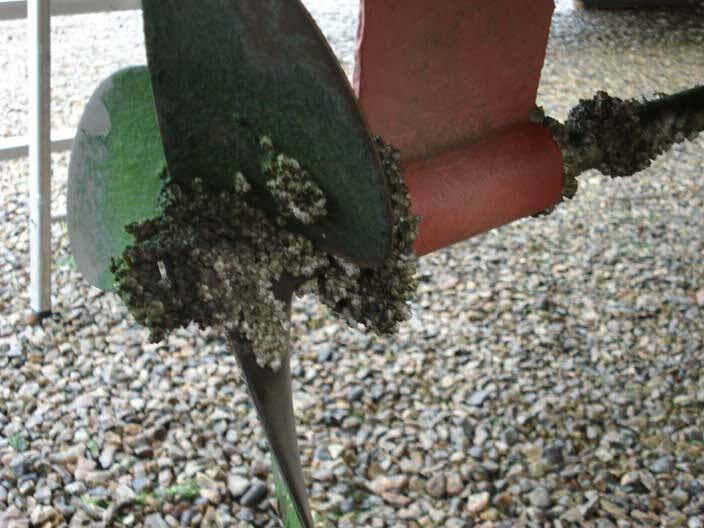 Lottie frequently ends the season with a mass of barnacles on the propeller and shaft and almost none on the hull. There is a rope cutter underneath there somewhere. 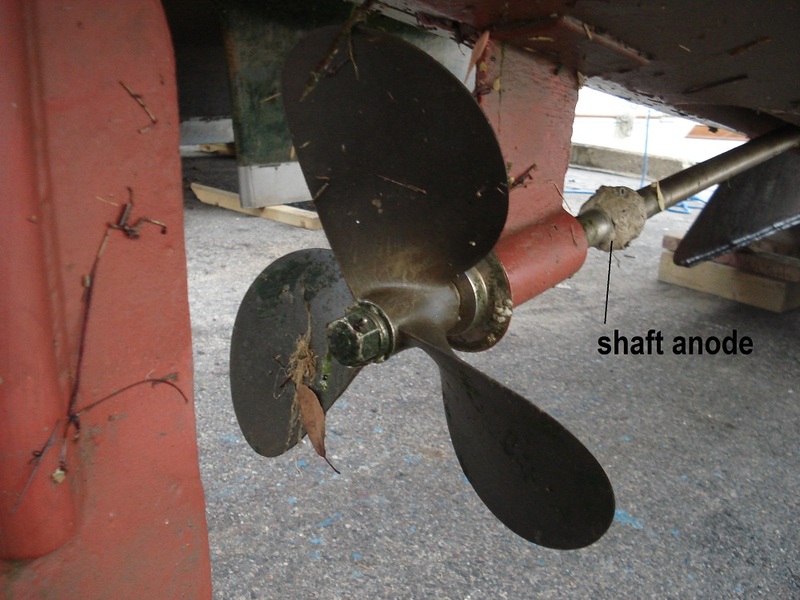 This is probably due to the absence of antifouling on these parts and the very active zinc anode on the prop shaft protecting the bronze propellor. 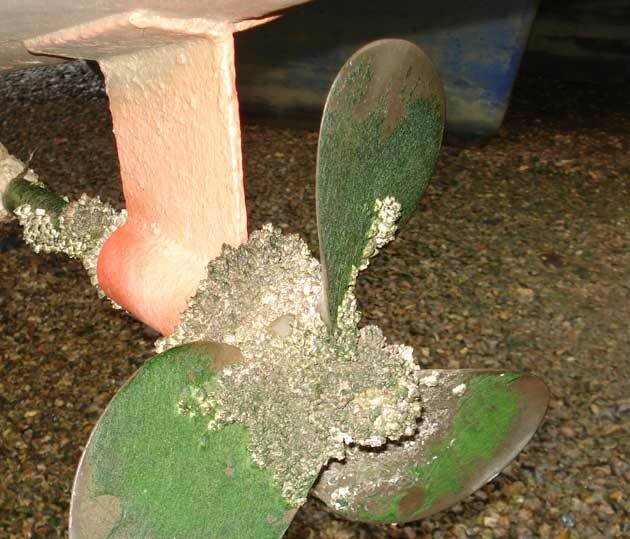 Cathodic protection can create an alakaline environment in the water around protected parts which shelly crustacea like barnacles seem to enjoy. The easiest solution is probably to clean the propeller after Whitsun since in normal years the free-swimming barnacle larvae have generally set up permanent home and become static by then so any of the little blighters on the prop should have been cleaned off and there should be no more around to attach to it. 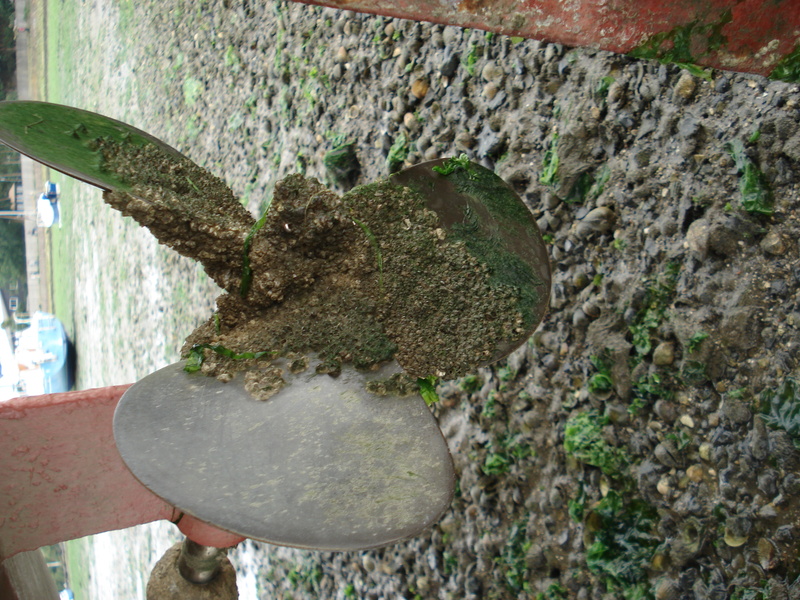 2011: a mid-season scrape of the prop (from the dinghy while Lottie was half-submerged on the mooring) resulted in there being virtually no barnacle growth on the propellor by the end of the season.